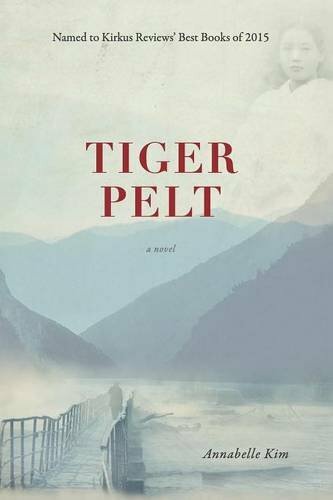 “Tiger Pelt” by Annabelle Kim is set in Korea during the Japanese occupation, 1943-1945. The story traces the lives of two children, Kim and Lee. Even through all the hard times, each seeks a new life in America. Whereas Kim is ambitious, hard working, and doing well, Lee has a harder time due to lack of skills, motivation, and money. When both Kim and Lee make it to the United States Kim married his former mentor’s daughter. Lee continued her “entertainment” job. She married an American soldier who was black, and he continued the abuse. It was also during this time, that Lee’s husband sought out Kim and begged him to take care of Kim, as he wouldn’t do it anymore. Given that they had been childhood friends Kim felt he had no choice, even though it caused many problems in his own marriage and life. "Tiger Pelt" by Annabelle Kim was very well written, the characters are intriguing, and the story is spellbinding. Throughout the book, readers will learn what it was like to live during that turbulent time. It is a story that readers will not want to put down.